We just can’t get enough of Mercedes. Since its launch earlier this year, the new A-Class has become one of the UK’s most popular cars, and we’re positive the upcoming saloon variant will be equally in demand. Elsewhere, the all-new CLS and X-Class shows how the brand can succeed in just about any segment it cares to enter. 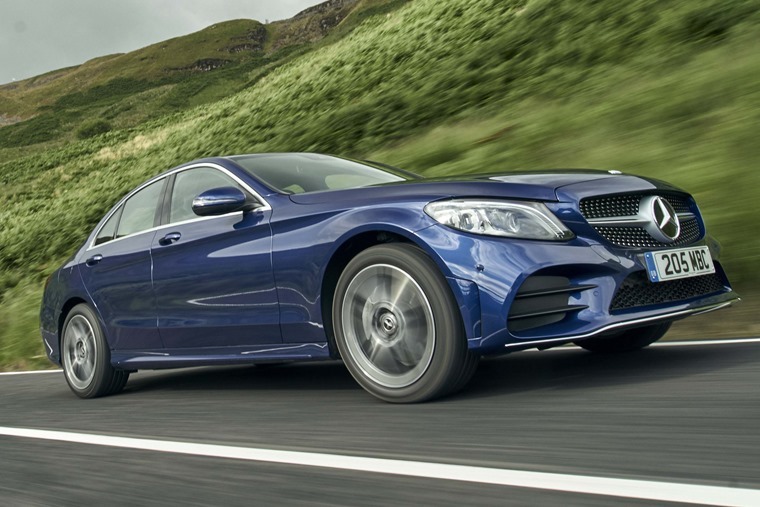 However, it’s the mid-sized C-Class that still dominates the brand’s sales charts. It just so happens to be the third most popular personal lease car of 2018, too. So, why’s it such a winning formula? With the facelifted 2018 version now available, we’ve been for a ride. Watch our video review and find out more below. It’s easy to forget that this – the fourth generation of C-Class – has actually been with us since 2014. Why? Because it still looks so fresh. Earlier this year, Mercedes gave it a very mild facelift. Its overall shape and styling cues remain virtually the same as before, with the exception of a fresh set of bumpers and some new LED headlights. This brings the C-Class bang up to date with the rest of Mercedes’ ever-expanding saloon line-up, and means it’ll be at least a few more years before its looks start to feel a little dated. Part of the C-Class’ appeal is the fact it can be ordered in a number of guises: Saloon, Estate and Coupe, to be more specific. You’ll know which one will meet your needs, but our opinion is that it’s the saloon that looks the most well-proportioned. Unlike the exterior, inside changes are far more comprehensive. It’s in the tech stakes that the updated C-Class truly impresses. There’s tonnes of new stuff – the steering wheel is most noticeable from the driver’s seat from a start. There might be an alarming amount of buttons you’ll have to learn to navigate, but there’s a pair of touchpads on there to help you control the infotainment system in a much easier way. 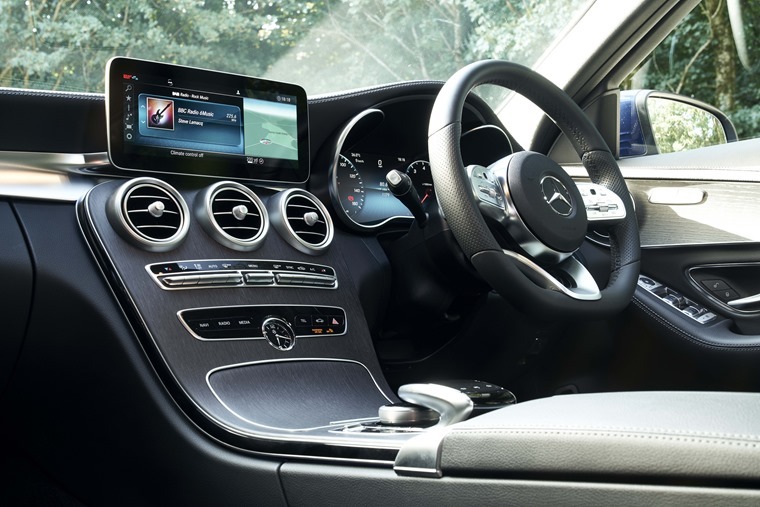 Talking of infotainment, the C-Class now boasts the same expansive optional screens as the new A-Class, including a vivid cockpit-wide driver display that replaces the traditional set of dials if you spec it as an option. The centrally mounted media screen is available in 7in or 10.25in form depending on which pack you plump for. The Premium Equipment Line pack will bag you the latter, which also adds a fabulous new satnav system, too. “The very best interior of any car in this class." – Howard Ritchie. There’s a host of new driver assist kit available too, notably the all-new Active Distance Assist Distronic. This is essentially an adaptive cruise control system, but it doesn’t just keep pace with traffic; tap the indicator stalk and it’ll change lanes too, while it’ll automatically slow down depending on the road – for example if the system recognises a bend or junction. You can see this in action in our video review. We don’t need to tell you that Mercedes makes some of the most refined and comfortable cruisers on the road, but just to be sure – the C-Class remains one of the most refined and comfortable cruisers on the road. In addition to the tech updates, you’ll find some new trim and upholstery options are on offer and, for those that really want to relax, there’s now a Multicontour Seat pack that adds extra bolster adjustment and lumbar support. Practicality-wise, that sloping roofline means that rear cabin space in the saloon falls behind some direct rivals like the Audi A4, but unless you’re carrying some very tall passengers on a regular basis this shouldn’t be a concern. 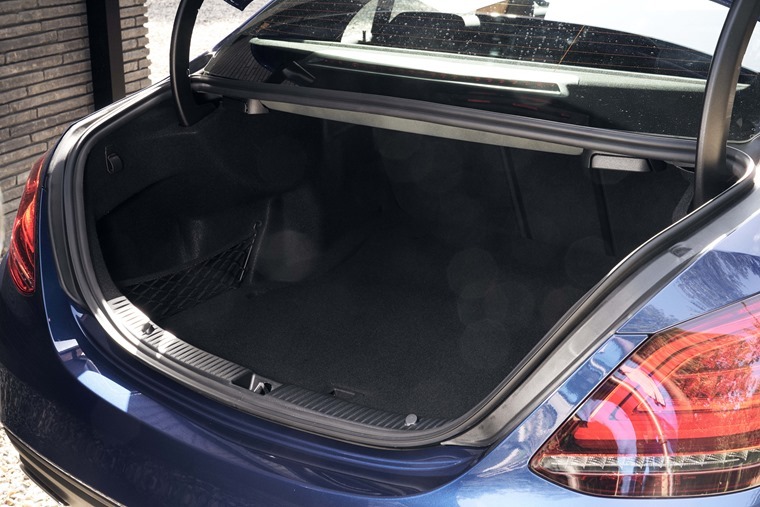 Aside from entry-level SE models, all C-Class saloons get a 40:20:40 folding rear seat too, which makes up for the fact that the boot lid has a small aperture. For those that want a load lugger with a touch of the luxurious, the Estate will fit the bill – it gets 490 litres of boot space – exactly the same an an A4 Avant and five litres short of a 3 Series Touring. Fold the rear seats flat and this expands to up to 1,510 litres of room. 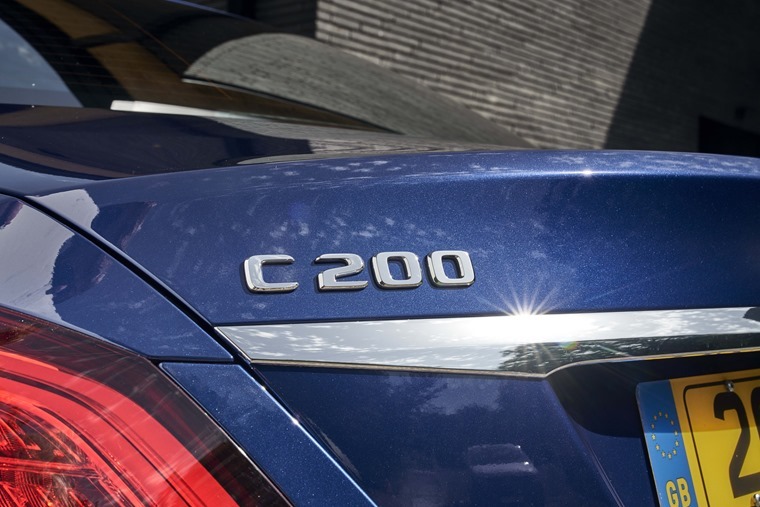 Mercedes’ EQ Boost makes its debut on the new C-Class in the form of the C200 – a new entry-level petrol option with hybrid technology. The 1.5-litre four-cylinder petrol engine makes use of a belt-driven electric starter-generator that can get the C-Class under way without the combustion engine. It also allows the engine to shut itself down on the motorway to allow for coasting – something that’ll help improve economy and reduce emissions. The system can also boost the engine’s 181bhp up to 195bhp should you put the car in Sport+ model, allowing you to take full advantage of the extra performance the hybrid system allows. Combined fuel economy stands at 46.3mpg which, while slightly less than the outgoing 2.0-litre C200, is likely more accurate because it’s been formulated under new WLTP regulations. Aside from this new petrol engine, the range remains pretty much the same with other options including the C300 petrol, a C300de plug-in hybird, the C200d diesel and of course the potent AMG C43. In essence, there’ll be something to suit everyone’s tastes and requirements. Similarly, the suspension set-up hasn’t been messed with, meaning the C-Class remains a truly comfortable car, if a little unengaging compared to the BMW 3 Series. It’s worth bearing in mind that AMG Line models come as standard with a sportier suspension set-up that not everyone will be a fan of.